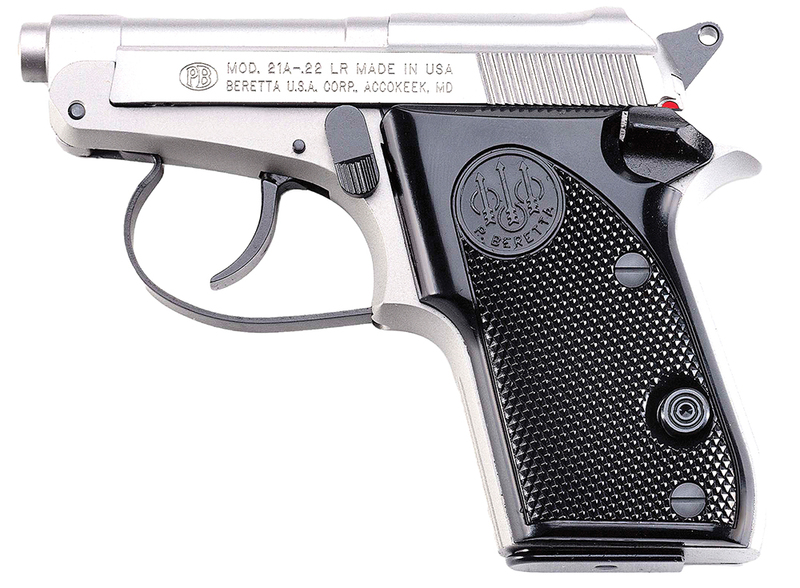 The ultimate in concealability, the Beretta Bobcat in .22 LR may be tiny, but it is a reliable defensive arm. The tip-up barrel of this double-action pocket pistol allows rounds to be loaded directly into the chamber without slide retraction. Precisely rifled for accuracy, the barrel is forged out of high strength stainless steel. This compact, rugged frame measures just 4.9 inches overall and weighs only 11.5 ounces. The Inox Bobcat model has a stainless steel slide and barrel with an exceptionally corrosion-resistant and durable gray-anodized frame to match the color and finish of the stainless components. The other metal parts (trigger, hammer, trigger guard, safety, magazine, etc.) are black finished. Can’t wait to try this thing. I own many different kind of Berettas but coming across this one new in the box should be worth the buy!